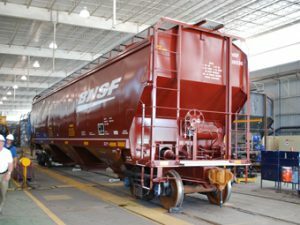 Freight car deliveries will reach nearly 60,000 units by 2022, driven by strength in boxcars, covered hoppers, mill gondolas, intermodal equipment, and tank cars, according to the most recent forecast issued by Economic Planning Associates. 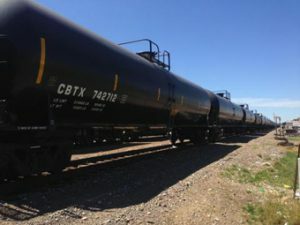 Following a weak start in commodity movements in the first two months of 2018, demand for freight cars has remained steady, according to the most recent analysis from Economic Planning Associates—and it’s going to improve significantly over the next four years. 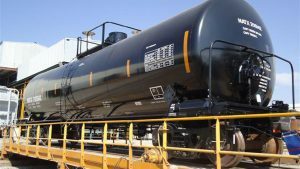 In spite of a slowing in the movements of major commodities, demand for railcars was relatively stable in this year’s third quarter, according to the most recent report issued by Economic Planning Associates (EPA). 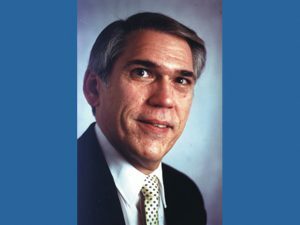 The outlook for railcars “has brightened considerably,” according to the most recent market analysis from Peter Toja of Economic Planning Associates. Second-quarter 2017 deliveries of 10,625 cars and orders for 17,665 raised industry backlogs from 60,471 at the end of March 2017 to 66,561 units at midyear, or 6.3 quarters of production at current assembly rates. 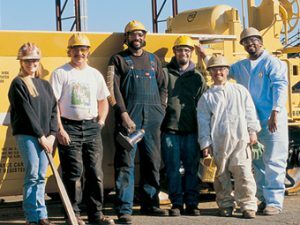 Freight car deliveries will remain relatively flat over the next two years at 42,500 units annually but will enter an up-cycle, according to the most recent quarterly report issued by Economic Planning Associates. 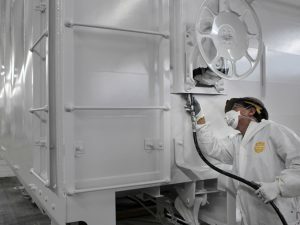 Freight car demand weakened in 2016 as lackluster economic and industrial activities as well as sluggish economies abroad dampened commodity flows and intermodal movements, according to the most recent market analysis conducted by Economic Planning Associates. The most recent freight car forecast from Economic Planning Associates calls for deliveries of just under 62,000 units in 2016, as carbuilders work off significant backlogs, followed by a 21,000-car plummet in 2017, a slightly worse 2018, and the beginnings of a small rebound in 2019. 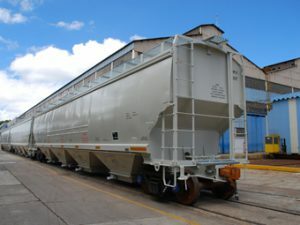 Railcar demand “has weakened significantly in this year’s opening quarter and backlogs have dropped to only 95,038 cars,” according to the most recent report issued by Economic Planning Associates. The smaller backlog represents 5.6 quarters (roughly 17 months, through November 2017) of assemblies at current rates. Demand for freight cars remains at a healthy level “in spite of a sluggish economy and extremely soft financial performances by the railroads,” Economic Planning Associates (EPA) said in its most recent quarterly railcar forecast, issued July 31, 2015.